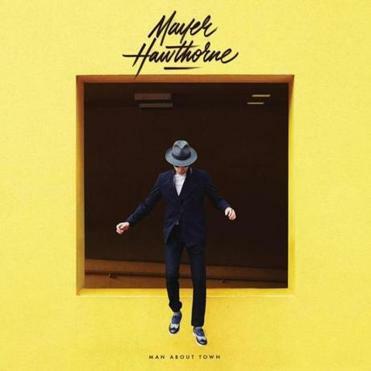 Mayer Hawthorne’s recent work with Daryl Hall has clearly influenced the Los Angeles-based singer-songwriter’s fourth solo record, which unmistakably evokes the melodic soul-informed pop of early Hall and Oates. Hawthorne has the sunny, blue-eyed soul man glide down by now; unfortunately, he barely extends his range here, apparently saving his more adventurous tendencies for his side projects. At times he slips into cruise control, especially while overworking falsetto on “Breakfast in Bed.” As a vocalist, he frequently genuflects to Hall, mirroring his tone, inflections, and phrasing (even those oohs and whoahs). Highlights album come when the songs stretch beyond Hawthorne’s solo comfort zone, as he slides into a reggae strut (“Fancy Clothes”) and flashes West Coast bounce on the horn-laced smooth funk of “Lingerie & Candlewax.” But “The Valley” and “Love Like That” owe so much to Hall and Oates, they’re probably on a jukebox in an abandoned luncheonette somewhere. Mayer Hawthorne performs at Paradise Rock Club June 19.